At Splintered Forest, we understand that the decision to remove a tree from your property is not always an easy one. Whether you are considering removing a tree(s) for aesthetic purposes or the tree is posing a risk to your property, our ISA Certified Arborists have the knowledge and experience to help you make an educated decision. 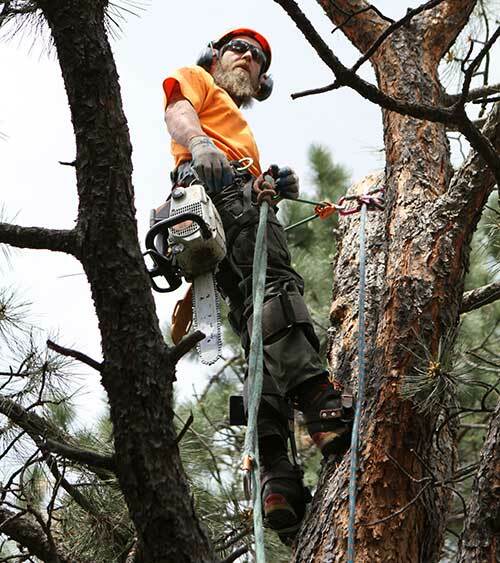 The Splintered Forest crew recognizes that every property in the Denver Metro Area has unique needs so our estimators take the time to visit every property and prepare an individualized plan to solve your tree problems. In some cases, removing the tree is not always the best option so our team of ISA Certified Arborists can recommend other care options as well. 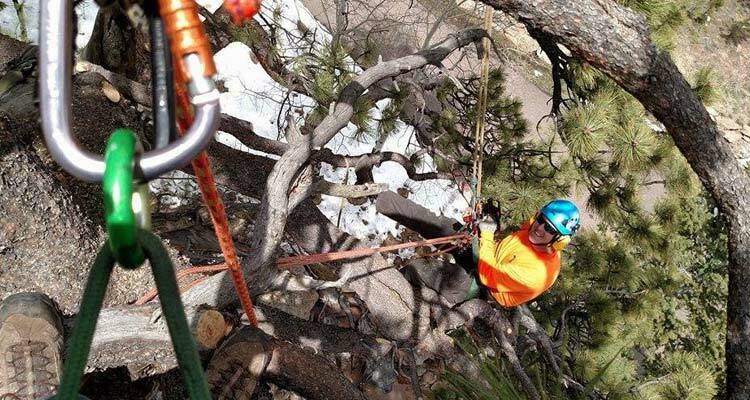 The Splintered Forest crew is also fully licensed and insured to work in Denver and the surrounding areas so you can rest assured we are protected while working on your property. Contact Us: Give us a call or submit our online contact form and a member of our crew will contact you to schedule a time to complete a free, no obligation estimate of your project. Evaluation: After choosing an appointment time, our estimator will come to your property to prepare an evaluation of the trees and provide recommendations for solving any issues. While we love meeting potential clients, if you are not available to meet with us we can still provide you with an estimate. With your permission, our estimator can do a visual assessment of the property while you are out. We just kindly ask that you inform us about things such as dogs in the yard, locked gates, etc. Estimate Submission: After the visual assessment of your property, Splintered Forest will submit a written estimate detailing the work to be completed, cost and any notes about the project. Estimate Questions: Have questions? Need to add a service to your estimate? A member of crew is always happy to provide clarification or submit a revised estimate if necessary. Give us a call! Estimate Acceptance/Scheduling: When you’re ready proceed with your tree removal project, simply let us know via phone or email. We will then schedule your project at a date and time that works with your schedule. Job Completion: On the scheduled date and time, the Splintered Forest crew will arrive to complete your tree removal project. After the work has been completed, we will provide you with an invoice detailing the completed work. Is the crew licensed to work in the City of Denver? Can they provide you a current certificate of insurance and proof of workmen’s compensation? Do they have a good online presence with positive reviews from previous clients? Google, BBB, Yelp, Facebook are great places to look for reviews. Is the equipment being used professional and in good working condition?